We define Ethiopiawinnet as ownership and pride of the essentials of being Ethiopian. That means, the culture lived, the history accomplished the dictum and aspirations wanted. Social responsibility for impact in Ethiopia is a shared value of Ethiopiawinnet. 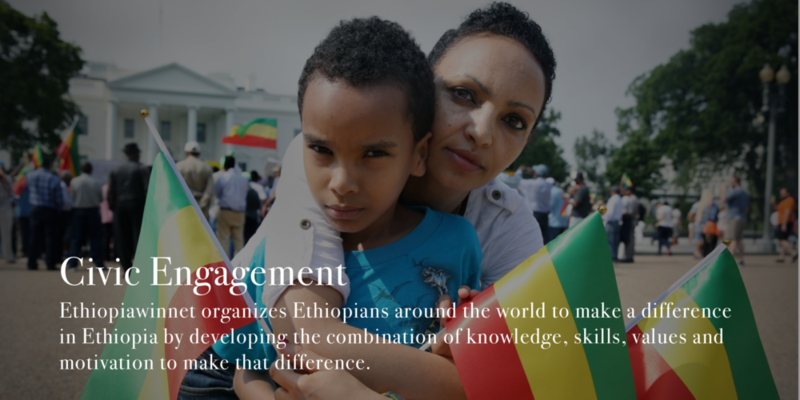 The mission of Ethiopiawinnet is to foster patriotism, civic engagement and institution building to empower Ethiopians in establishing an accountable democracy. Evoking patriotism through education of Ethiopian history, this pillar is one we believe everyone will be able to relate to and find value in. The second pillar, civic engagement, for those that want to make a difference in Ethiopia, is an opportunity to develop the combination of knowledge, skills, values and motivation to make that difference. While this pillar also entails education, a major component that differentiates it form the first pillar, Patriotism, is advocacy. Advocacy on behalf of citizen’s rights, which Ethiopiawinnet provides council for. 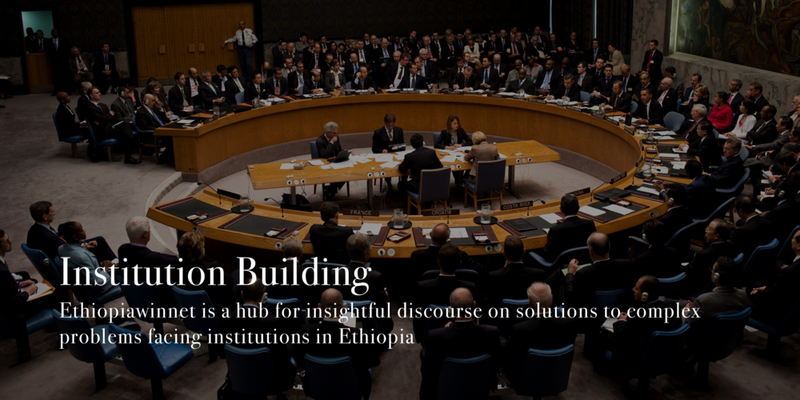 Is it better to strengthen the current institutions in Ethiopia or start over in institution building, our third pillar? This pillar, led by Ethiopiawinnet scholars across various disciplines from the most prestigious educational institutions around the world, is one we believe will most engage politicians, professionals and administrators. The papers published by our scholars educate in and provide discourse on the current state of institutions in Ethiopia and the way forward.